Winter is finally over! 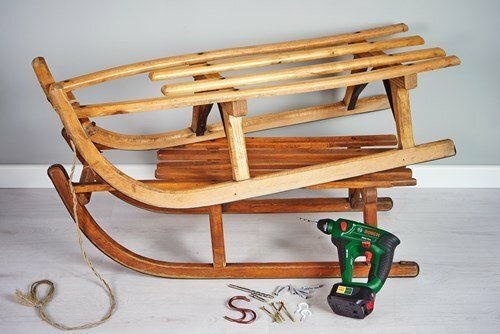 Savor the memories of the great winter holidays by using your old winter sports gear such as snowboard, skis and sledge to make useful decorating objects for your home. 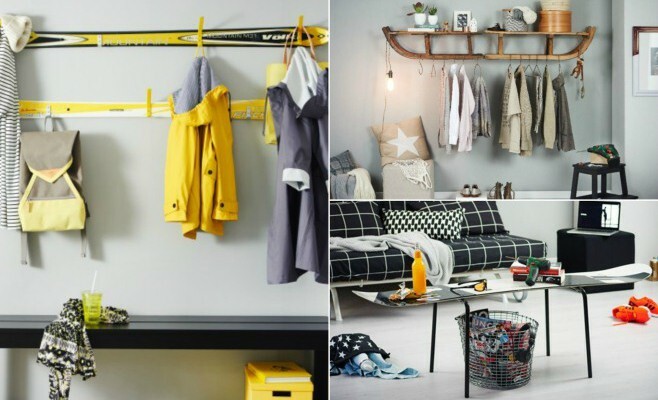 You are going to love these DIY upcycled furniture ideas! 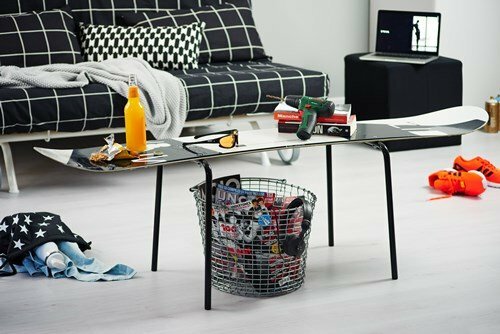 A coffee table made out of an old snowboard – perfectly suited for the apartment of every fan of winter sports and unusual interior design. Remove the snowboard bindings. 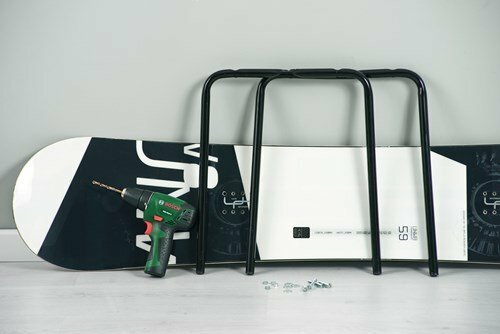 File down the snowboard edges by using sandpaper or power sander. Using a pencil mark the location of the table legs and then use the drill to drill holes in the marked points. 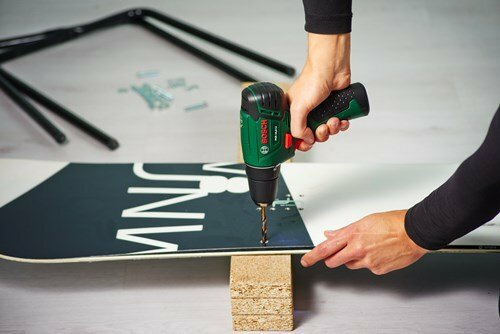 If the board has a metal coating, be sure to use a suitable drill bit for metal. Screw down the legs to the snowboard. And it is done! 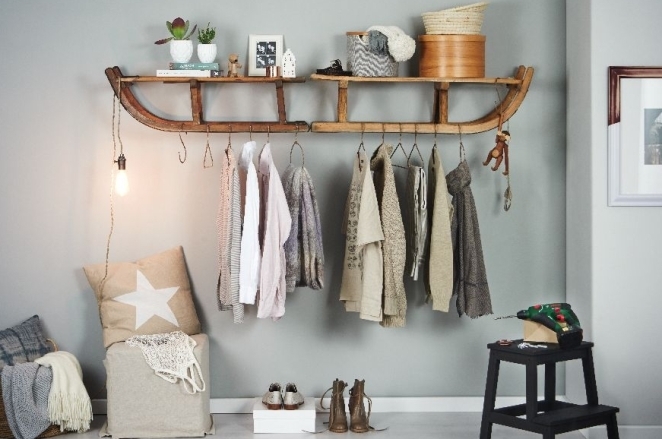 Don’t throw away your old snow skis because you can reuse them to make an interesting coat rack. 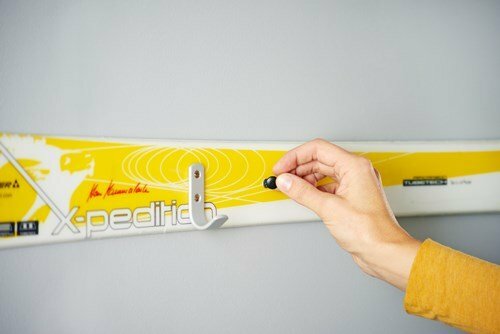 Clean the skis and mark with a pencil the place for the hooks along the length of the skis. Then drill holes at the marked points and screw in the plastic hooks. 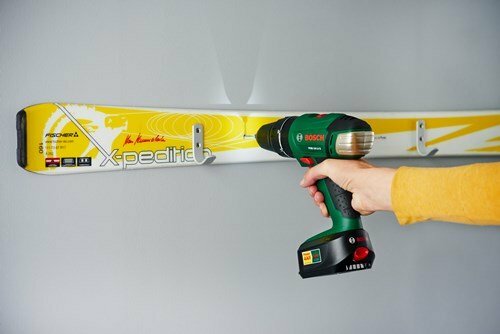 Now drill two holes in the wall and attach the skis. Use a bubble level to make sure the skis are parallel to the floor. Use the plastic caps to hide the screw heads from view. 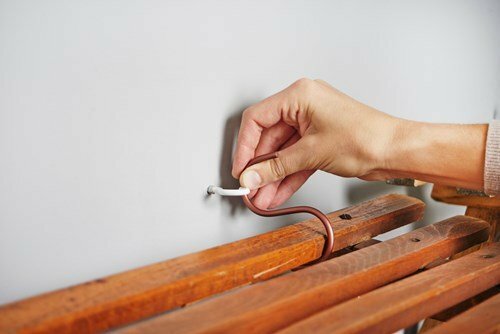 Your attention-grabbing coat rack is ready and you can put on your coats, jackets and scarves! – 4 plastic anchors with a diameter of 8 mm, 4 long screws 5 x 80 mm. 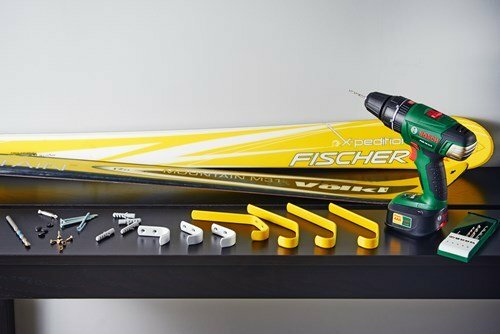 Drill holes in the wall where you have decided to attach the cup hooks. Screw the small cup hooks into the holes in order to secure the sledges. Then hang the sleds on the wall by using the S-hooks. This allows them hang straight and easily hang on them even heavier clothing such as coats and jackets. Add the clothes hangers. The seats can be used as shelves for storing scarves and hats or some kind of decoration, such as flowers or picture frames.